Notes: Paired t-test: 95 percent confidence—2-sided test. Kolmogorov Smirnov test: 90 percent confidence. 2-sided test. ♦Insufficient data for analysis. Figure 3-39 maps the results of the paired t-test. The darker shaded (yes) river basins indicate that there is a statistically significant difference at the 95 percent confidence level; the river basins marked with lighter shading (no) indicate that there is not a statistically significant difference between the means. 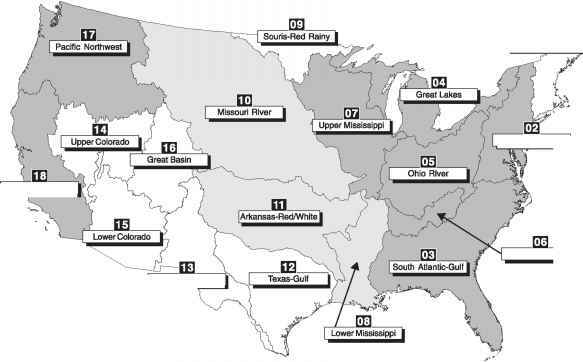 Discounting the river basins, mostly in arid western states, with insufficient data for the paired t-test (river basins 01, 09, 12, 13, 14, 15, and 16), 8 of the 11 river basins in the Midwest, Southeast, West Coast, and Middle Atlantic states showed a statistically significant improvement in DO using the paired t-test. The visual decreases in DO in the Texas-Gulf (12), Arkansas-Red-White (11), and Great Basins (16) are not statistically significant. Recalling that the planning and design of wastewater treatment plant upgrades are often targeted at improving worst-case (low) DO conditions, it is expected that incremental improvements for waters with higher DO conditions (e.g., approaching saturation levels of about 8 to 10 mg/L) are less likely to accrue. 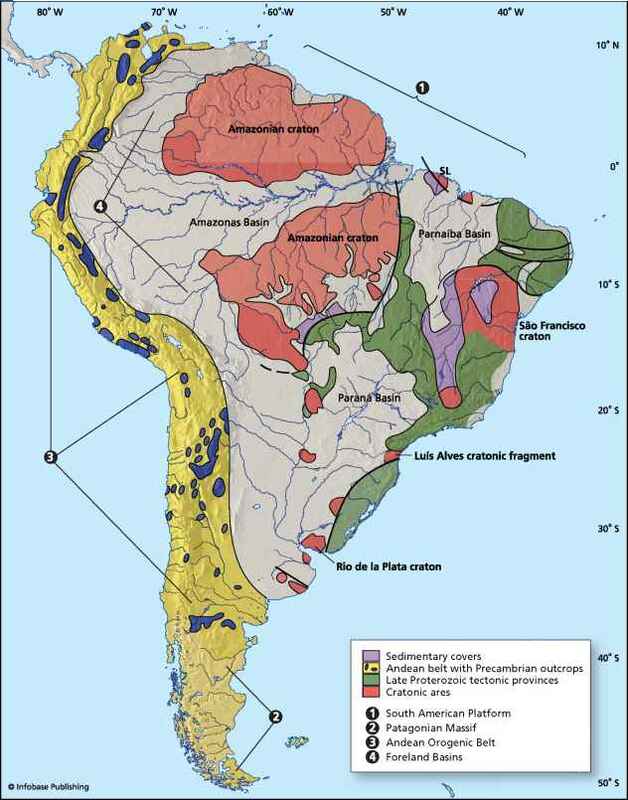 As a result, it was suspected that most of the gains would be for the river basins with the lowest DO concentrations before the upgrades, with fewer gains identified for basins that had not been characterized by low DO concentrations. Therefore, frequency distributions are compared in addition to the comparison of means described above. Figures 3-40 through 3-50 present the "before and after" DO frequency distributions based on the mean tenth percentile DO concentration computed for paired RF1 reaches in each major river basin with sufficient data for the analysis. "Before and after" DO frequency distributions are presented for the Mid-Atlantic (Figure 3-40), South Atlantic (Figure 3-41), Great Lakes (Figure 3-42), Ohio River (Figure 3-43), Tennessee River (Figure 3-44), Upper Mississippi (Figure 3-45), Lower Mississippi (Figure 3-46), Missouri River (Figure 3-47), Arkansas-Red-White (Figure 3-48), Pacific Northwest (Figure 3-49), and California (Figure 3-50) major river basins. It is important to note that not only has the mean changed, but the distribution from low to high DO has also changed significantly. The frequency distributions shown for the major river basins suggest that there have been improvements at the lower percentile levels of DO (i.e., tenth and twentieth percentiles) for these river basins. Before the CWA in the 1961-1965 time-block, worst-case tenth percentile DO was typically at 1 mg/L or lower for all basins except for the Arkansas-Red-White, the Pacific Northwest, and California. During the 1986-1990 period after the CWA, worst-case conditions had improved to levels of about 2 to 5 mg/L for most of the river basins. The Kolmogorov-Smirnov test was used to statistically compare whether the before and after distributions are significantly different. The Kolmogorov-Smirnov test is a goodness of fit test that compares the empirical distributions from the two time periods. Figures 3-40 to 3-50, showing the empirical cumulative distribution functions of DO from the before and after periods, can be used to visualize what the Kolmogorov-Smirnov test is comparing on a statistical basis. The vertical axis presents the DO concentration corresponding to a given percentile on the horizontal axis. Referring to the Mid-Atlantic basin (Figure 3-40), for example, it can be seen that about 70 percent of the observations from the before period were less than 4 mg/L, whereas in the after period only 30 percent of the observations were less than 4 mg/L. The Kolmogorov-Smirnov test is a statistical comparison of the maximum distance between these curves. The results from the Kolmogorov-Smirnov test are provided in Table 3-3.